Most fitness tracking devices track steps and calories, while others can be just a little shy of being mini computers that help you manage your life from your wrist. But how do you sort through all of them to find the one that is best suited for your needs? Here is what to look at when searching for a fitness tracking device. 1. What is your ‘’why’’? 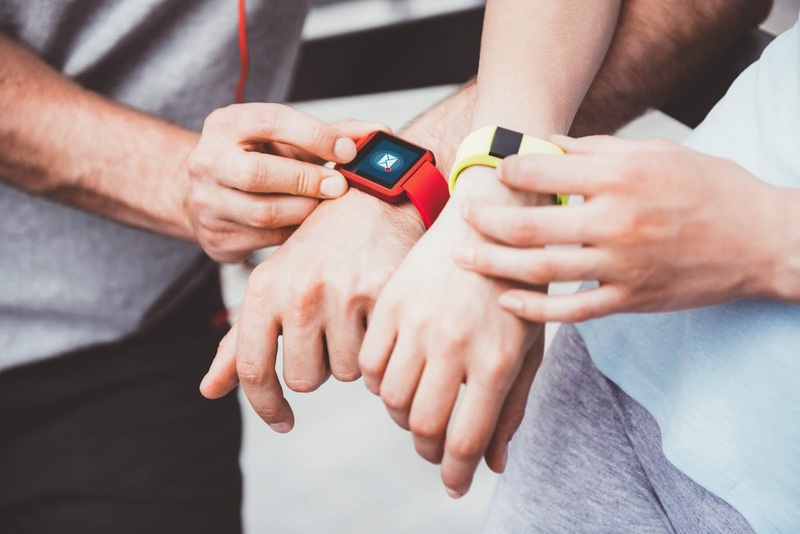 Why do you want a fitness tracking device? Is it to track your fitness level? Are you looking to be motivated to stay active throughout the day? Once you have singled out the main reason you need a fitness tracing device in the first place, it will be easier to narrow down the search. Match the features with your reason to buy a fitness tracking device. For example: If you are looking for a device to keep track of your steps throughout the day to earn Active Dayz™, an entry level device or app like FitVault would be a great place to start. Secondly, look at the connectivity, battery life, data storage and syncing. When you are well-informed about these, you’ll be better prepared for the day-to-day practicalities of using the device you want to buy. You’ll know if you need to take a charger with you and whether or not it needs Wi-Fi connection to keep track of your data. The fitness tracking device’s app is just as important as the actual device because this is where you’ll see all your accumulated data. You’ll want to find an app that is easy for you to use and understand, so that you don’t spend too much time just trying to figure out how it works. Browse some online shops to see the price of a new strap or charger, so that if something happens to the ones that came standard with the device. This will be a good indicator of whether or not you can actually afford the device. Multiply get great discounts on these devices when shopping on our online shop. Make the most of your Multiply discount today!